Lets do a quick time jump to early 19th century, and take a look at some of my regency planes for this summer. 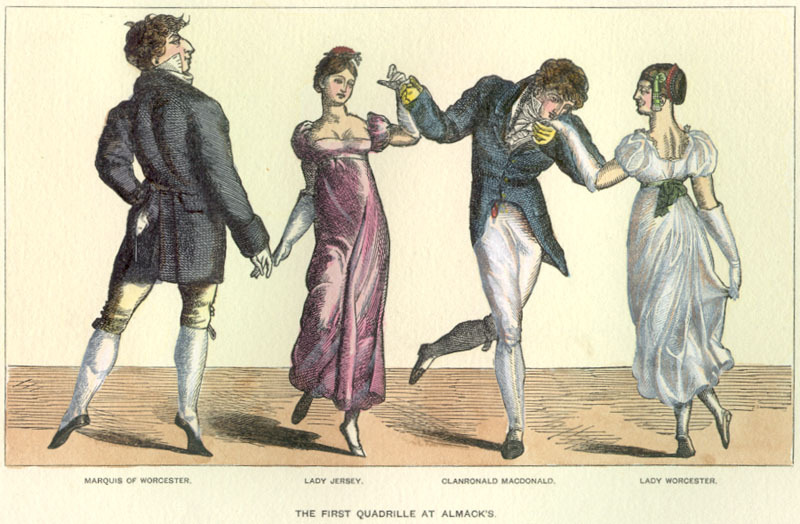 Earlier this year I was asked to host a regency sewing course for the people attending my dance companies regency bal this autumn. 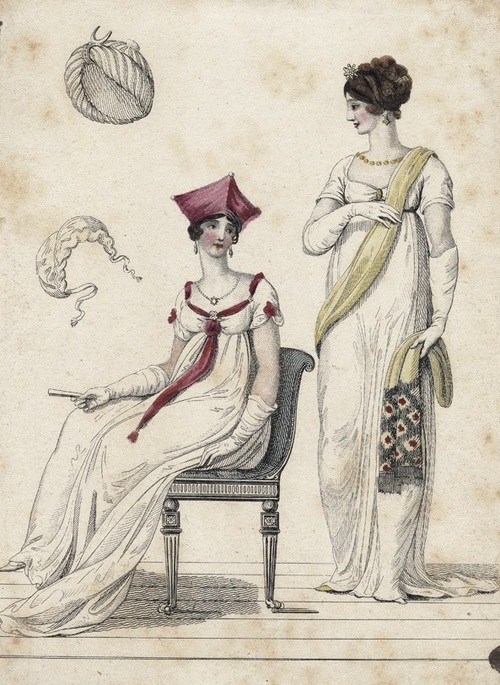 But I’ve just recently started with historical costuming, and know even less about regency. 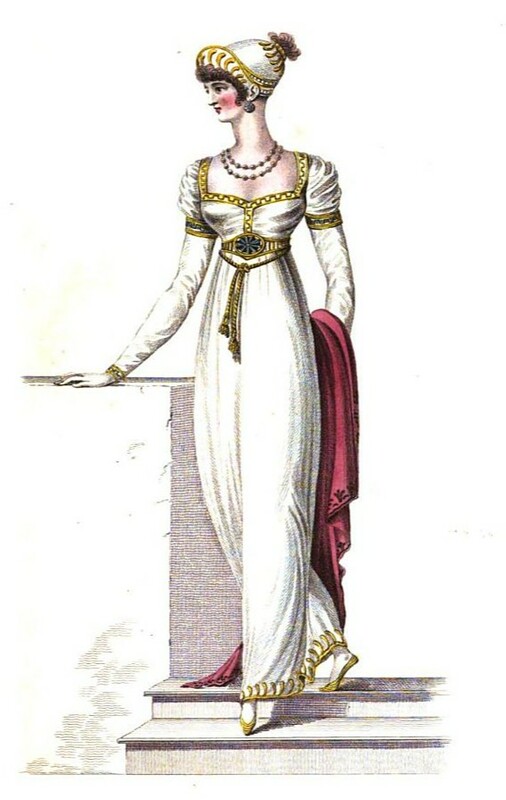 I’ve only made two dresses so far, so how would I be able to guide and teach lots of un-experienced sewers with there evening garbs? 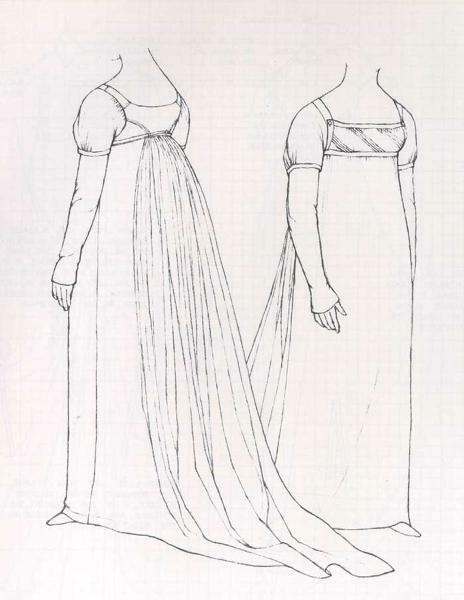 I started asking around for tips on patterns, fabric and other “good to know things”, and pretty soon I developed some sort of plan on how to go about it. The first decision I made, was to let the participants use comercial patterns – it would be to hard to teach everyone to drape their own. So then I needed to find suatable patterns. I’ve tried the “Reconstructing History 838” before and really hated it. The pieces didn’t fit together and the instructions were un-clear. But at least now I know how to go about it to make it work. 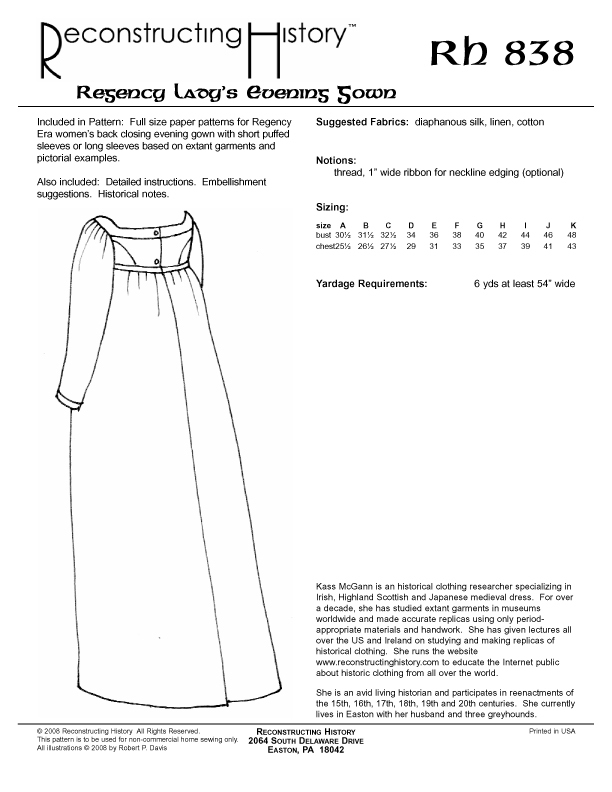 This pattern comes from Arnolds “Pattern of Fashion” and have a lose placket at the front. It would be nice to give it a try if I only manadge to scale it proper. 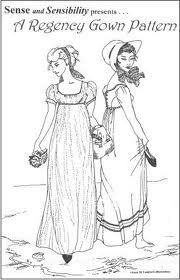 I’ve got lots of recomendations on the “Sense and Sensibillity”s patter. Unfortanly they are not being sold in Sweden, and the cost for shipping was more then I could spare. 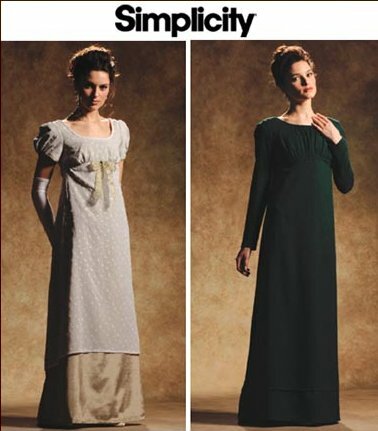 Fortuanly I learnt that “Simplicity” had the exact same pattern (and they are sold plenty over here). So I bought it, and are currently on my way to try it out. I sadly haven’t found any mens wear patterns I would like to try. That will be something to du during summer leeve. Then I turned my thoughts to the fabrics. And since I’m cosntantly on the look out for historic fabrics, I’ve already had a few good ones in my stash. 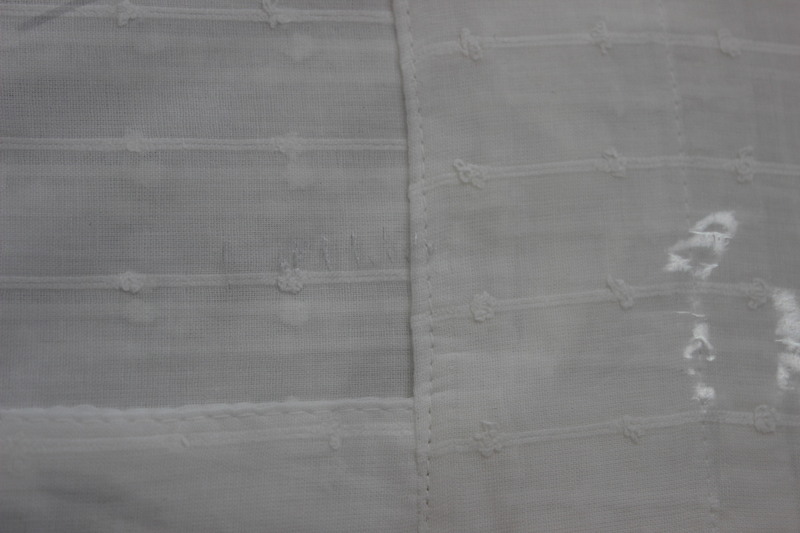 This sheer cotton voile have a nice stripe and knot pattern, and originaly comes from a pair of IKEA curtains. 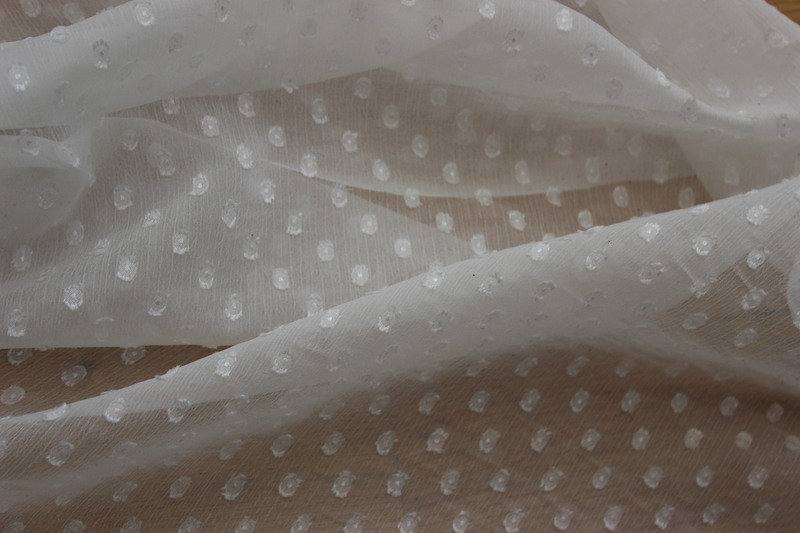 I bought this white dotted organdy for my Edwardian gown, but It was so cheap Igot the whole bolt – perfect for regency. 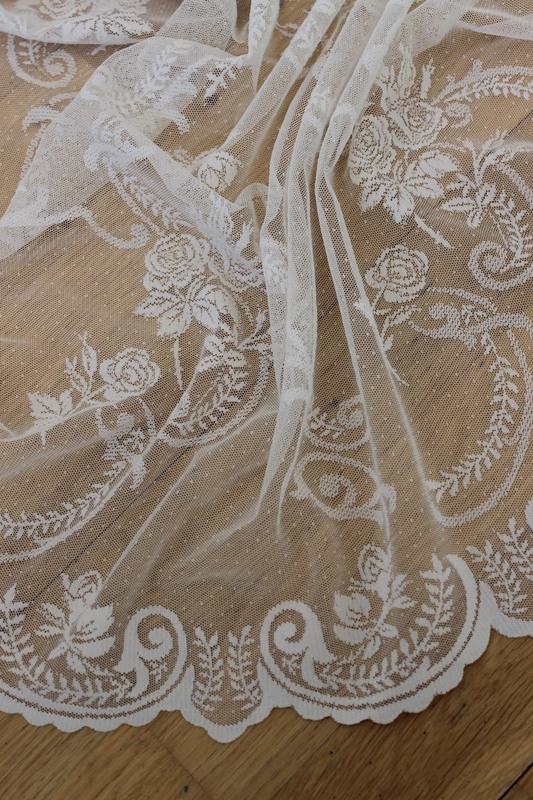 This syntetic lace will not be enough for a whole dress, but perhaps I can make an overlay for the skirt and/or sleeves. 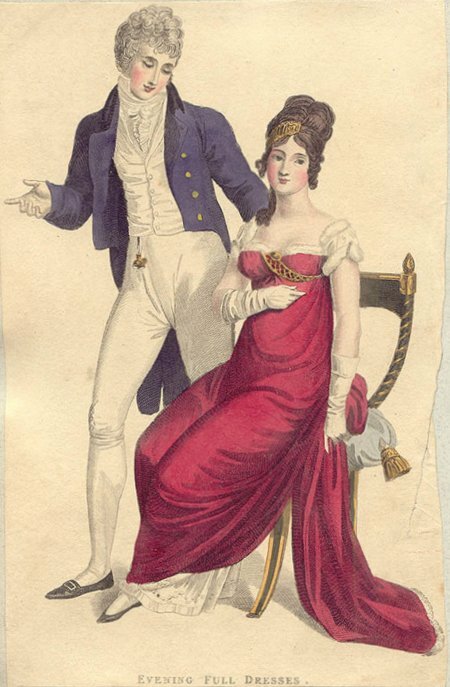 But not all regency fabrics hasve to be white. 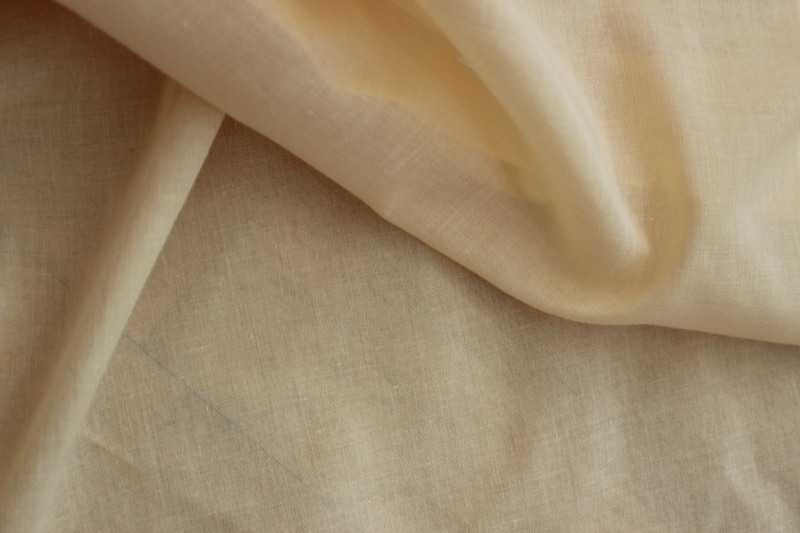 This light yellow cotton voile will be pefect for a model with a slimmer skirt. I totaly adore this syntetic red curtain bought at Indiska on sale. They also stock white, green and blue. 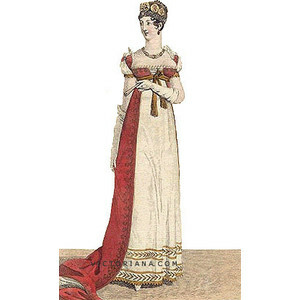 My sister have already claimed it for when I make her regency bal gown. And lets finish of with some lovely dress models. 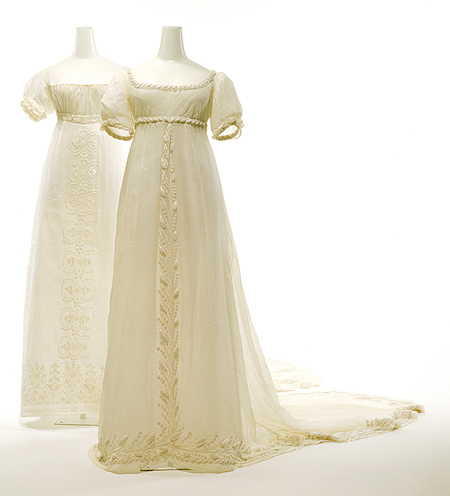 Love the subtle deoration on these clean white dresses. A little pop of colour. … or this. 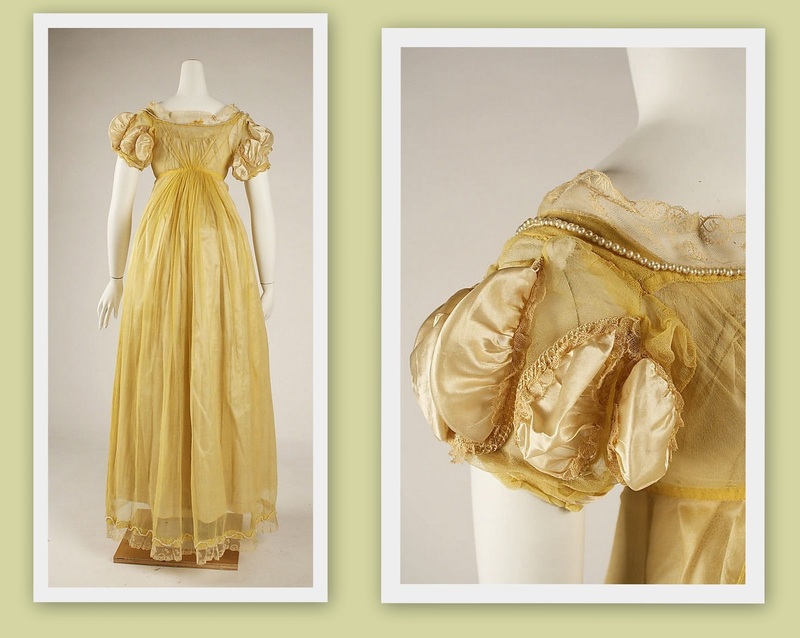 I think the yellow voile will be made into somethng like this. Beautiful red decoration. 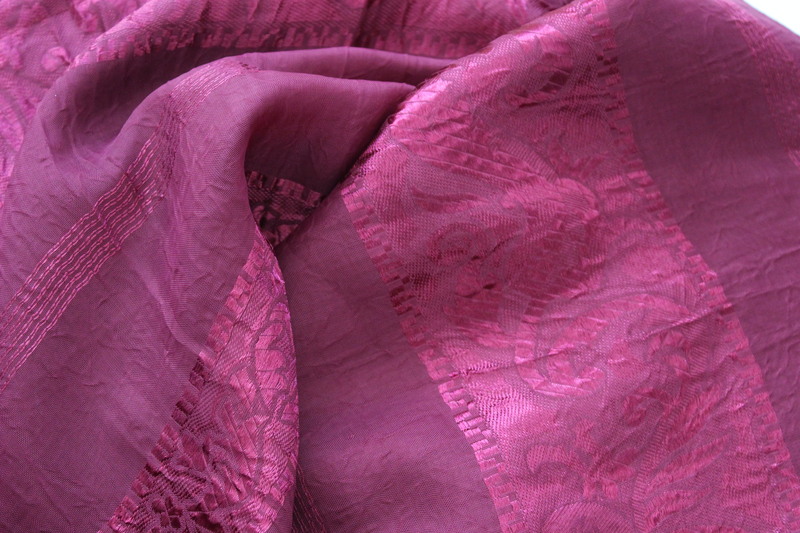 You can use the lace in the same fashion as the red fabric on this one. 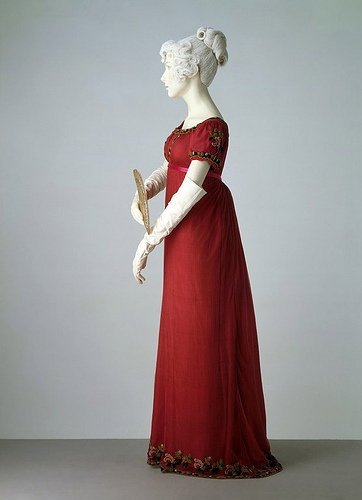 Or why not a whole dress in red. So many dresses so litle time. And if thats not enough, of course we need to make some accessories as well.